These fun edible alien cake decorations will make your cakes look and taste out of this world! 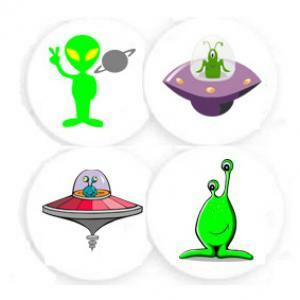 There are 4 designs of aliens so you get 3 of each little character in a packet. 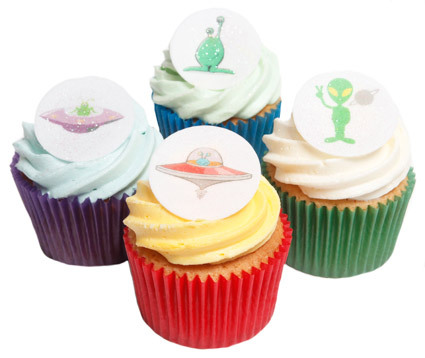 These decorations have been designed by Holly Cupcakes.